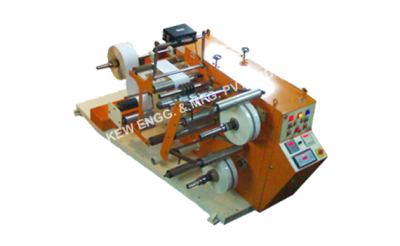 Doctoring Inspection Machine with Slitting System | KEW ENGG. & MFG. Doctoring Inspection Machine with Slitting System, generally in use of Inspection and Slitting of all types of material like Plastic, Paper, Flexible Packaging, BOPP Film etc. Also, we are manufacturer of Stenter Machine for widest textile industries.